On this last clinical day before Christmas, this large Class II walked into the practice. 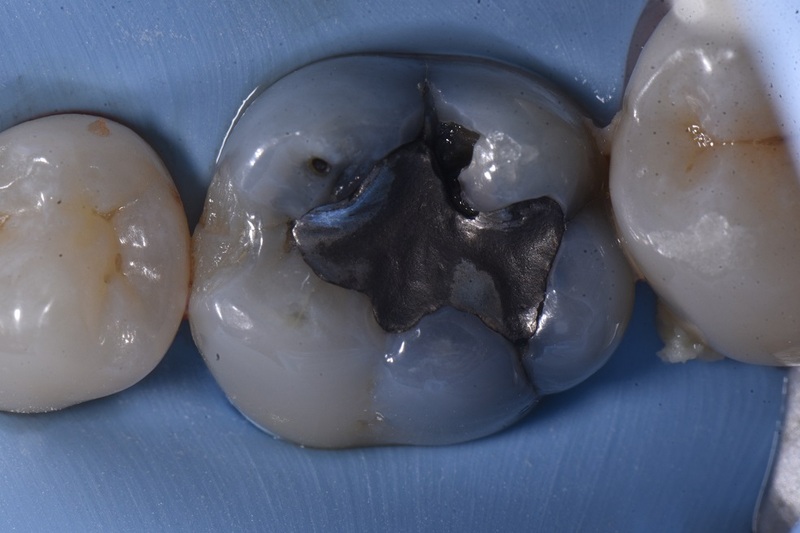 Standard preparation, extensive recurrent caries and amalgam staining noted. 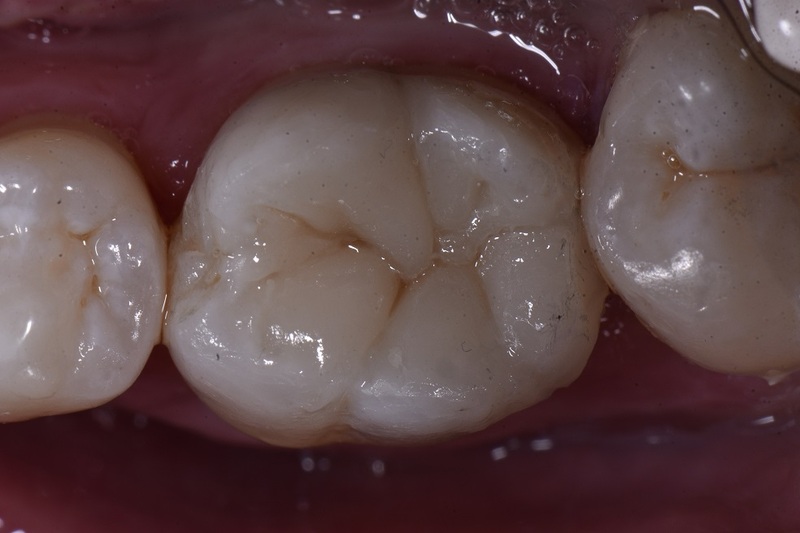 Multiple radiating/comminuted vertical fractures extending into dentin. The clinical goal will eventually to support this tooth with a bonded onlay, but due to time and economic constraints, we just wanted to put the fire out for now. The DB residual island seen in the preparation photo actually softly debonded as it was undermined during the sectional matrix assembly placement. The restoration was completely restored using a single shade of Grandio SO A2.